WordPress was started by a person named Matthew Charles Mullenweg in 2003.Wordpress is a blogging tool which is used around the world to built self hosted blog sites, but today it has grown into a full fledged Content Management System, providing users with broader development scopes. It started as an open source project with thousands of contributors across the globe. Drupal is a Dutch word which means drop of water. It is a Content Management System that was written in PHP initially by Dries Buytaert in 2001. It’s another gift from open source community to the entire world. Some of the key websites that are built on Drupal are that of WhiteHouse.gov, MTV Europe, The Economist and many more. Well Drupal actually helps to put complex things with an ease. There is a fine line of distinction between two best Open Source Projects WordPress and Drupal, as both of them have changed outlook of modern websites at there ends. They both have there own specifications and specializations as both of them are best at there work. We are providing you with an over view of both the tools, as it will help you to choose the best as per your requirement. 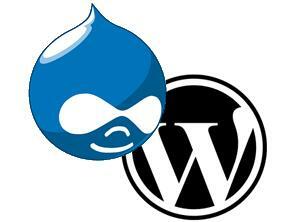 WordPress and Drupal are both open source database driven Content Management Systems. To be specific setting up wordpress is a bit easy then Drupal as in case of Drupal one need to know some technical know how’s of how to set up Drupal. Booth WordPress and Drupal keep a track on your content i.e. the content is stored in database; well in genral both of them use My SQL as database at back end but Drupal facilitate integration with some other databases like PostgreSQL database or Coldfussion. The Scripting language in both of them is PHP. There are various platforms for hosting Drupal and WordPress according to the Operating System that you are running but they are best hosted on a LAMP pile (Linux, Apache web server, MySQL, and PHP). 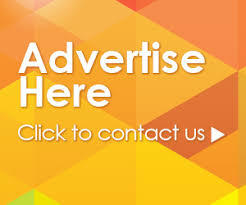 Both of them are free software packages and can be downloaded from there respective websites. Both Drupal and WordPress have simple user interface were every thing is placed appropriately. While WordPress provides great usability on the other hand Drupal supplies you great power for your website. With there own particular specifications, both WordPress and Drupal differ on the way we understand them. People really don’t need to possess any technical knowledge for understanding WordPress it’s relatively spontaneous. On the other hand, Drupal has a degree of complexity associated with it, that it a bit difficult to configure, unless someone customized it to his or her own requirements. Both Drupal and WordPress uses same systems for managing users and assigning them there role on the basis of there rights or stakes in the website. Drupal has admin screens pre provided by default but if you want to do the same thing in WordPress then you need to install the Role Manager plugin. Role Manager plugin is a management tool for assigning role/permission/authentications in WordPress. For WordPress there are basically two content systems built: One is post, which simply depicts blog posts that can be a news articles or date-specified content and secondly comes page which represents a static content for example “About Us” page on a web site. While in Drupal’s content placement is more bendable or flexible. In Drupal we have multiple user-defined content types that are pre defined at core level. In Drupal, you will have two content types defined: “Story” that is similar to wordpress post and “page” similar to WordPress’s page. But it has a functionary that helps you to define your own content types from the administrative interface. To run a successful project you need to know your requirements first. Here are two of the very best web development platforms with is own specializations. As Drupal is a great tool to develop flexible modular applications which hold the ability to handle highly complex systems, while on the other hand WordPress allows you to built fast, easy and user-friendly sites with in few hours.